Condensate management is a crucial element of the regular maintenance of your air compressor. It ensures consistency and efficiency during operation and prevents contamination. At Glaston, we offer our clients a wide range of solutions to treat condensate in line with current legislation. Condensate management is a crucial part in the process of compressing air. The reason for this is during the processes of air compression, atmospheric air and water vapour and airborne contaminants are drawn into the compressor intake. As compressed air cools in the after-cooler, the water and hydrocarbon vapours condense. Condensation also builds up in the piping and air dryers. Condensate management is the process of removing the moisture to prevent damage to the downstream components and processes. 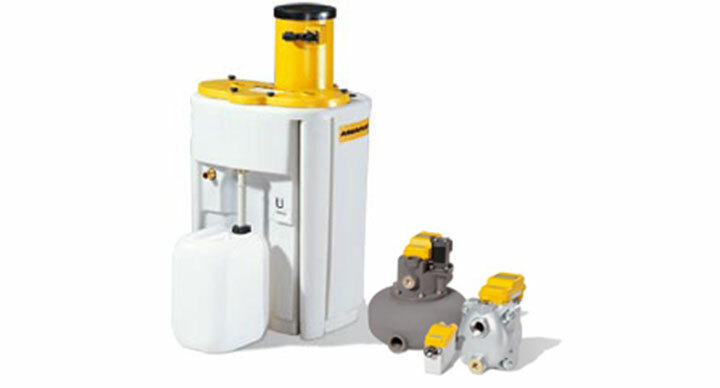 Glaston has worked in a range of industries, from the largest to the smallest air compressor users. It is essential that compressed air condensate is treated and disposed of correctly to ensure continued performance of your air compressor. Our team of trained engineers have extensive knowledge and experience in condensate management. Our engineers are always on hand to provide professional and effective condensate solutions for your business. Glaston’s condensate management products and services include installing drain valves on moisture separators, filters, receivers and dryers in order to remove the condensate. The condensate can then be passed through to automatic drain valves, and the oil and water is separated before it is discharged to a drain. We are committed to delivering total customer satisfaction. We specialise in the supply, design, installation and maintenance of energy saving applications. We supply a range of leading brands and are the authorised distributor of KAESER HPC Compressors in the UK. We have built a strong reputation in the UK for our knowledge, technical experience and high levels of service. Glaston provides single source responsibility contracts to many of our clients including effective condensate management and other services, whereby we manage, operate and maintain the air compressor systems for the entire factory/facility thus offering total reliability, service and cost benefits. For more information about condensate management, or how to treat condensate, please contact Glaston today. You can also speak to us about our other products and services, including nitrogen generators and vacuum pumps.